Chef Andrew Richardson of CinCin Ristorante will welcome South America’s most famous chef Franci Mallmann next week for two extraordinary culinary experiences in downtown Vancouver. 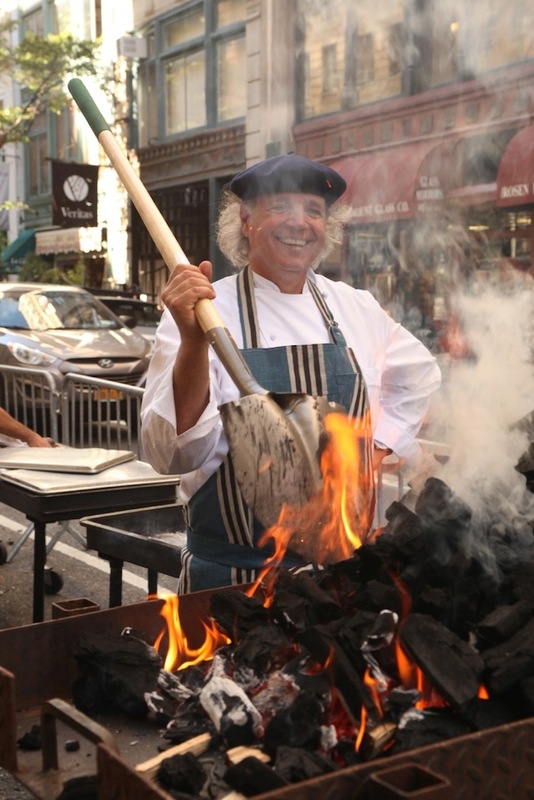 On September 10th and September 11th, Chefs Richardson and Mallmann will host “Gods of the Grill” dinners that will see the pair offering special street-side demonstrations of their craft right outside CinCin on Robson. Chef Franci Mallmann. Photo courtesy of CinCin. A 5-course wine dinner with Chef Mallmann bringing his favourite traditional South American dishes to life with the finest of British Columbia’s regional ingredients. A 4-course tasting menu with optional bottles and by-the-glass selections drawn from CinCin’s 1,000 label wine cellar, and selected by wine director Shane Taylor. To purchase tickets and make your reservation on either of these nights, please contact Restaurant Director Richard Luxton by email (richard@cincin.net) or phone (604) 688-7338. Guests will also have the opportunity to purchase a personalized copy of Mallmann’s second book “Mallmann on Fire”. Follow CinCin on Facebook, Twitter, and Instagram for more information. I will draw a winner at random from all entries at 12:00pm on Monday, September 8, 2014. Must be 19+. Prize is dinner for two on Thursday, September 11th, gratuity is included, alcohol is not included. Update The winner is cecilia! I would love to try Cincin for the first time! Wow! What a great opportunity. Would love to win. This sounds like a divine night out! Sign me up! I love CinCin! I would love to win this prize. We’re long overdue for a fine dining experience! Sounds delicious, great for a date night! I’d love to try CinCin! Always wanted to try that restaurant! Being an argentinean myself, I would loveee to win this and go on a date with my husband!! this sounds like an amazing dinner, i would love to be there! I have always wanted to go to Cin Cin (after all we do share the same nick name) so winning this prize would be amazing! Thank you for the chance! Sounds like an awesome event! Would love to go to Cin Cin to try it out! Wowza! I’d love to Cin Cin away! I have never been to CinCin but would love to try it. Have never been to CinCin, so this would be a great opportunity! Oh Mio Dio!! Date night on Robson with my beautiful wife! I’d love to go to CinCin! This would be an amazing taste treat! What a perfect date night!!! Sounds like it’d be a great experience! Want. Want so so bad. Would be a great date night. I am always up for good food! Regrammed, tweeted! It’s been years since I’ve been. It would be awesome to go back! That place is decadent! love to eat great food!